The official Rules of Golf, which are continually being revised and updated as new equipment emerges, have close ties to mathematics. In many cases, math is used to place limitations on golf equipment, such as restricting the distance the ball will travel, as predicted by mathematical models. The Rules also place limits on a value called the coefficient of restitution, which measures the efficiency of the impact between a club and ball. In a new review, Dr. Steve Otto, Director of Research and Testing at The R&A, which along with the US Golf Association (USGA) oversees the Rules of Golf, has highlighted some of the ways that mathematics is used to understand golf and determine many of the equipment rules. The paper is published in a recent issue of the Proceedings of The Royal Society A and was written as part of a Royal Society meeting, Mathematics for the Modern Economy. In general, evaluations of golf equipment involve modeling, simulations, and statistics to account for variation in the physical processes involved in hitting a ball with a club. Currently, there are approximately 1200 golf balls on the official conforming list, and each one must be resubmitted for evaluation each year. The Rules place restrictions on the size, weight, efficiency, and Overall Distance Standard of a golf ball. To determine the Overall Distance Standard, a test ball is launched by a robot that simulates a swing with a launch angle of 10°, a backspin rate of 42 revolutions per second, and a club head speed of 120 m.p.h. Using image analysis, the ball’s launch conditions are determined and fed into a model that—based on an optimization problem—predicts the total distance the ball will travel. The Rules require that this distance be no more than 317 yards. Golf balls that fly too far are considered too easy to hit, and this restriction ensures that skill, and not technology, is what determines the winner. As for golf clubs, the official list includes about 20,000 clubs (8,000 drivers and 12,000 irons). With the goal of ensuring that the game is not undermined by golf clubs that hit balls so efficiently that hitting becomes too easy, the USGA in 1998 implemented a rule restricting the coefficient of restitution to a value of 0.822 for drivers. By 2003, this rule had been adopted worldwide and applied to other types of clubs. The coefficient of restitution measures the proportion of energy that is transferred from the club to the ball, where 0 is no energy being transferred and 1.0 is a perfectly elastic collision in which all energy is transferred. 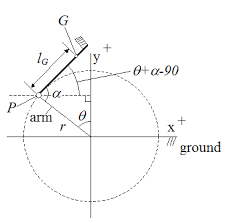 To determine this value on a test club, a pendulum with a metal ball and accelerometer at the end is repeatedly bounced against the club face. Time measurements from the accelerometer are then analyzed and used to estimate the club’s coefficient of restitution. Perhaps the most challenging parts of modeling the physical processes involved in golf involve the human factor. Analysts have attempted to quantify the variability of an individual’s swing using various statistical methods, such as standard deviation and the less commonly used median absolute deviation. Among other things, understanding individual variability is important for fitting individual players with the best equipment. Going forward, Otto argues that the best models for the game of golf are likely the simplest, meaning those that minimize the number of parameters are generally the most useful. He explains that attempts to develop more complex models are likely to result in a data-fitting exercise instead of more accurate predictive methods. NEXT POST Next post: How to clear UGC NET Computer Science Exam in 3 Months?